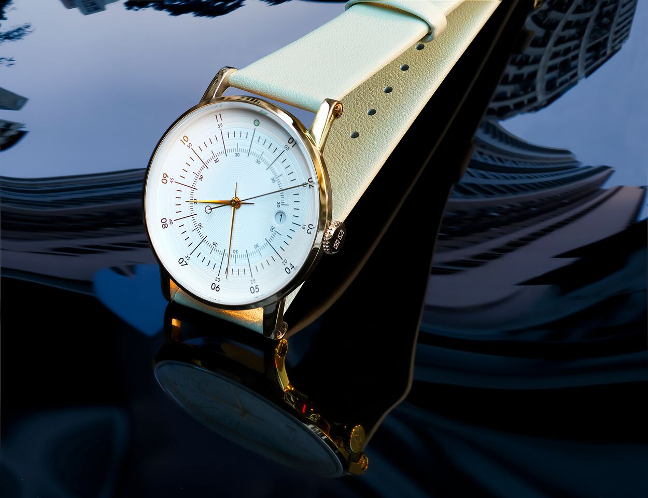 Founded in 2010 in Stockholm, Sweden by Alexis Holm, squarestreet designs and develops elegant contemporary timepieces with one foot in minimalist modernity and the other firmly rooted in traditional wristwatch aesthetics. 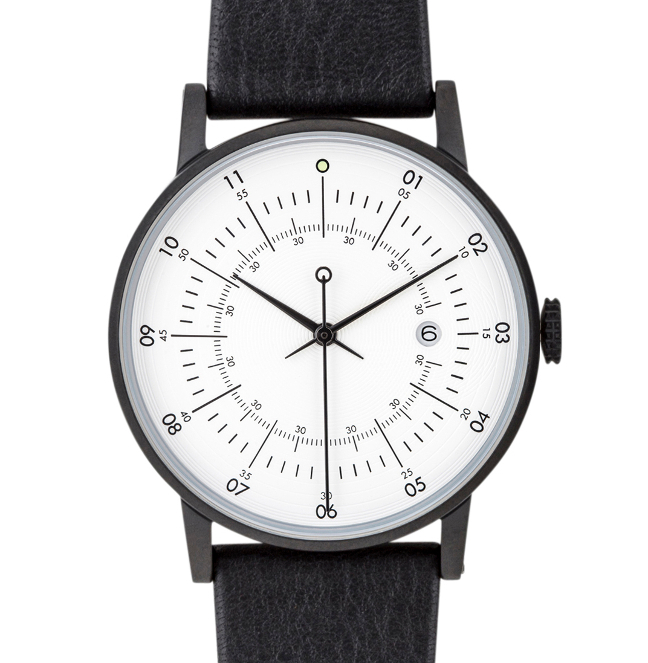 All squarestreet products carry that distinctly Scandinavian touch. A certain cleanliness and sharpness that only comes when material, color and cut intersect perfectly. Curated goods made from meticulously selected materials and developed with a blend of innovation and tradition. squarestreet does not follow, nor does it lead. Instead, it lives by its own laws of simplicity, functionality and beauty. Named after the Spanish word for “Flat”, Plano features an oversized 36mm pane of glass made from hardened mineral, covering almost the entire front of the watch. This lends it both an air of fragility and elegance all at once. 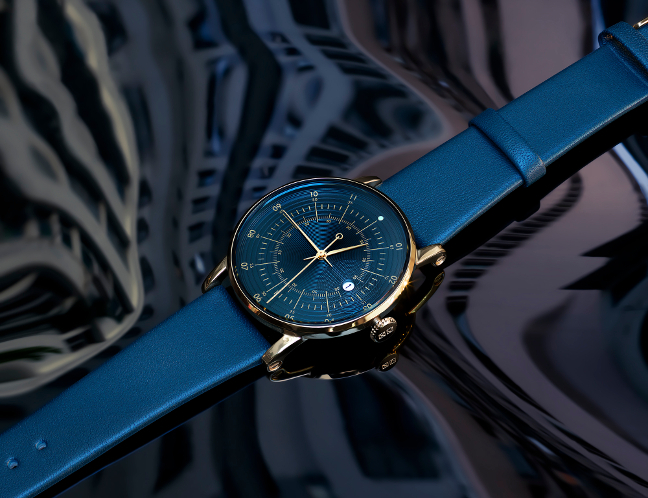 squarestreet slimmest watch to date, Plano stands a mere 6.7mm tall, but still manage to outperform it’s thicker counterparts. The Swiss 715 Movement by Ronda offers up a staggering 42 months of runtime with 3-hand readout and date window at the 3 O’clock position. Custom heavy duty twist off caseback makes for easy serving, and the screw in lug bars make changing straps a breeze to suit any occasion. The new mid-style 38mm Plano rests on a solid aesthetic foundation, forged by centuries of horology. The Plano, Sliced Wafer thin with a hairline bezel and spindly lugs, may, at a glance, appear entirely classic and slightly conservative, but upon closer inspection, a wealth of contemporary detailing and clever solutions present themselves. Intersecting concentric circles, typical of squarestreet watches, emanate from the center as well as the date window adding an extra dimension of detail and neoclassic beauty. Scandinavian lifestyle label squarestreet bridges the gap between antiquity and modernity. 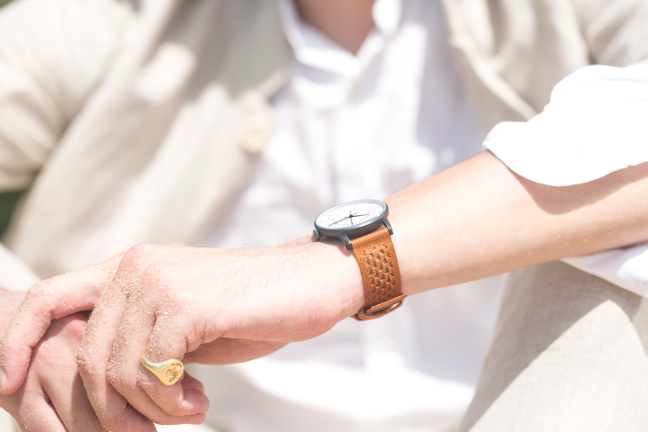 The neoclassic unisex timepiece exudes both simplicity and symmestry. 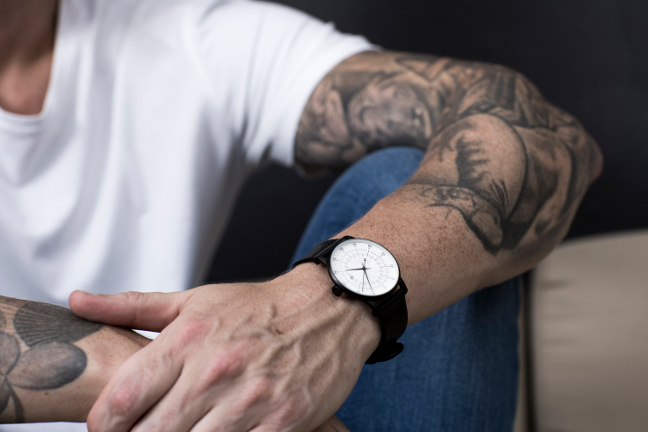 Launched in July 2016, this exciting design watch collection – SQ38 Plano – finally joining the line-up of squarestreet watches right next to the already iconic timepieces SQ31 Aluminum and SQ03 Minuteman released across major cities since 2013. 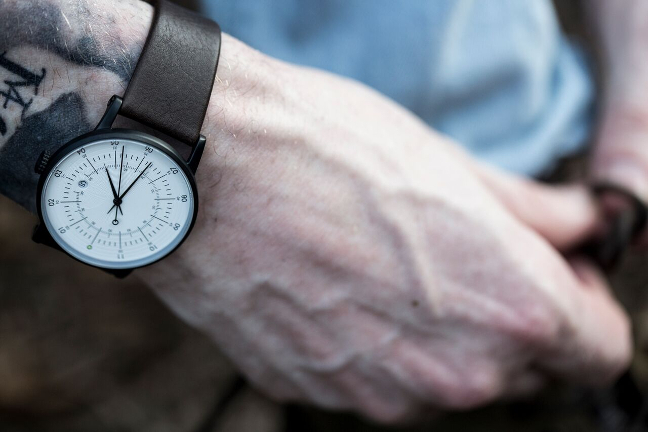 The brand decided to step up their game by complimenting the collection with a limited run of four colourways Swedish Reindeer leather straps. 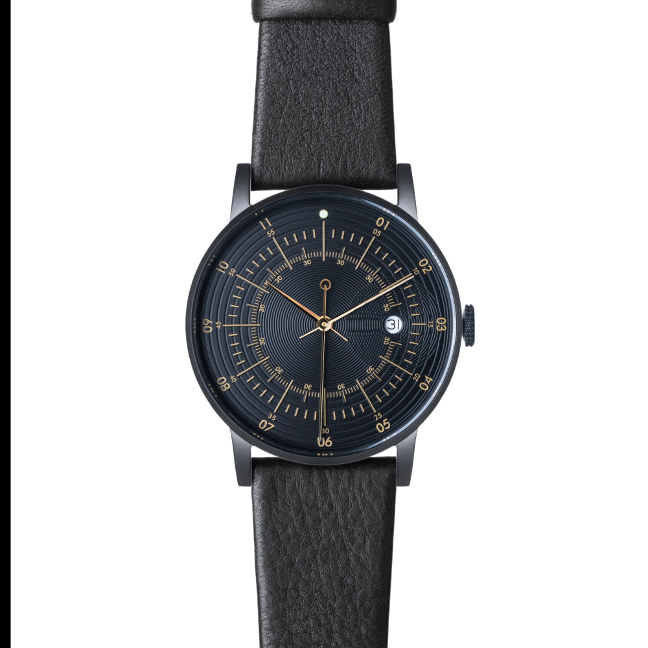 As part of its spring offering, squarestreet is re-releasing its popular neoclassic unisex timepiece SQ38 Plano by complimenting their Lineup of watches with SQ38 Plano – “Aurum Nigrum” Collection. It is hard to imagine a more outspoken elegance than the combined efforts of Gold and Black. Even on their own they hold sway, but together, the result is a watch so captivating and beautiful, it exudes a power all it’s own. Latin for “Black Gold”, this is the end game of understated luxury, the final word in modern opulence, and a blatant display of restrained refinement. Classic polished gold case fitted with jet black printed dial, gold indexes and polished gold, stiletto shaped hands. The laser etched micro patterns of the dial refract incoming light making the entire watch face come alive, while the signature Super Luminova dot at the 12 o’clock orientates you in the dark. The Black Gold edition will come with a slew of different strap options to satisfy every degree of aesthetic preference. From classic Black to Deep Navy, Dove Blue, Army Green and Chocolate Brown to name but a few. 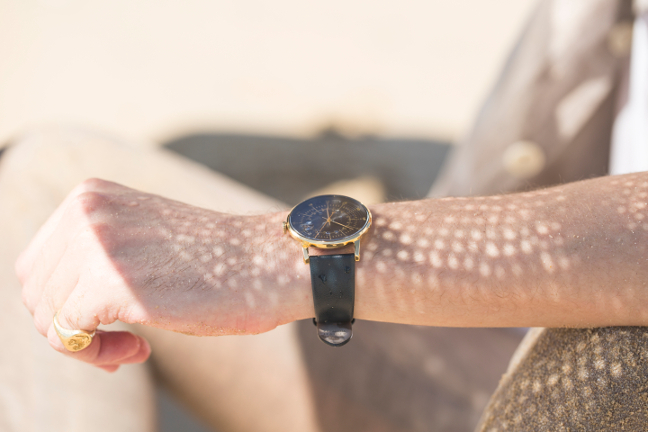 As the darling buds of May lay in wait, squarestreet watches release a spring 2017 capsule collection of watches filled with the promise warmer winds and longer leisurely days. Aptly named “The Powder Collection”, this unisex offering sees squarestreet’s already timeless Plano watch in polished gold case and eggshell white dial paired with calf leather straps in three pastel shades of Mint Green, Carnation and Sky Blue. Drawing inspiration from Jane Austen’s British gardens and the dapper gentlemen of the 1920’s, this powdery ensemble of watches is best suited for woman of leisure and men of distinction. A salute to the immeasurable joy of being alive. The pastel coloured straps are crafted from supple Italian calf leather that has been coated to retain its brilliance over time, and sporting double sided construction for durability. For too long watch straps have been side lined in the arena of technical advancements. Their time has now come with the release of the brand new development. It took 18 months in the lab to get it right but finally in April 2017 squarestreet is able to present a world first. 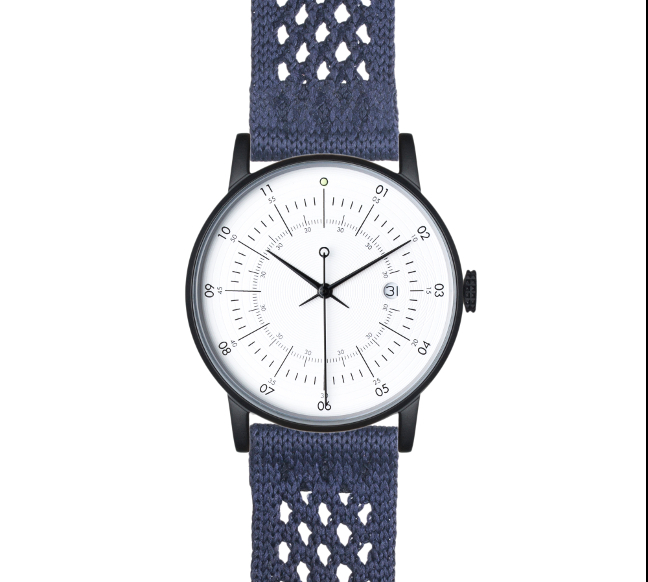 Our shape knitted Nylon watch strap – SUPLON (meaning SUPER NYLON). Knitted in shape: the SUPLON strap is knitted on the same machines as the high tech sneakers on your feet. Zero waste manufacturing. Knitted in shape for superior finish, durability and elegance. Perfectly balanced: A watch strap for the 21st century. Blending technology, function and aesthetics in a seamless mix to produce something so different, yet intriguingly familiar. SUPLON straps are Light Weight, Breathable, Durable, Machine Washable, Hypoallergenic, Eco Friendly, Vegan, Flame Retardant, Anti-Fungal and extremely adjustable, as well as being incredibly elegant and generally super good looking. Come in 9 gorgoues shades.